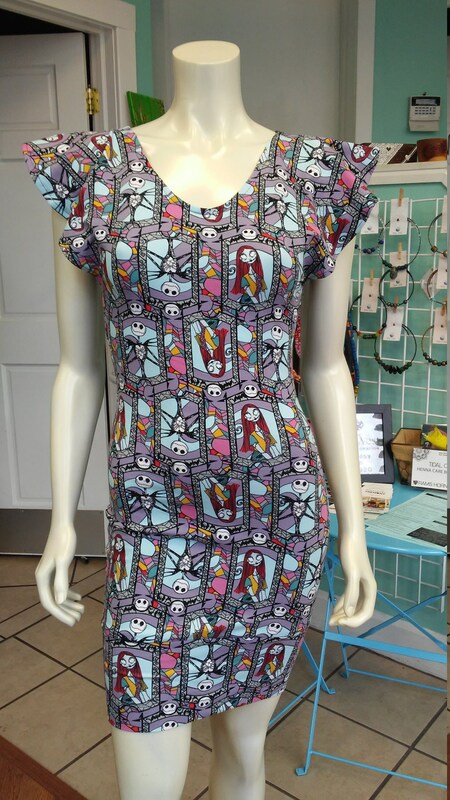 Leave those unflattering t shirts for the guys, show off your Jack and Sally fandom with a unique, fitted knit dress in a Nightmare Before Christmas stretch knit. 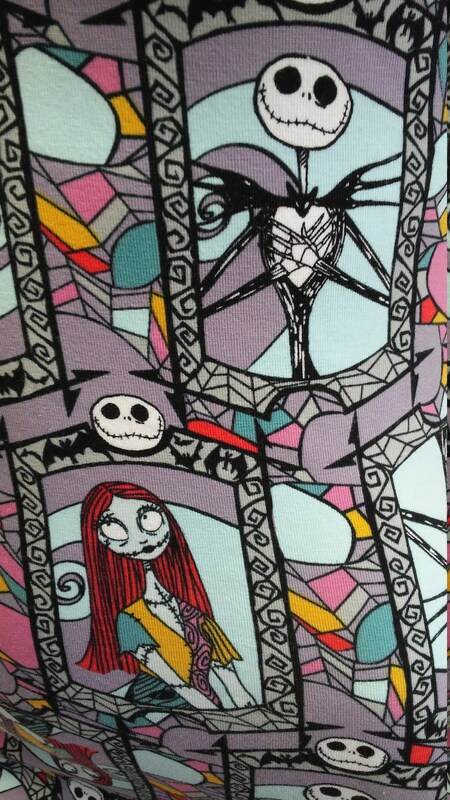 Print features movie favorites Jack and Sally on a fun print. 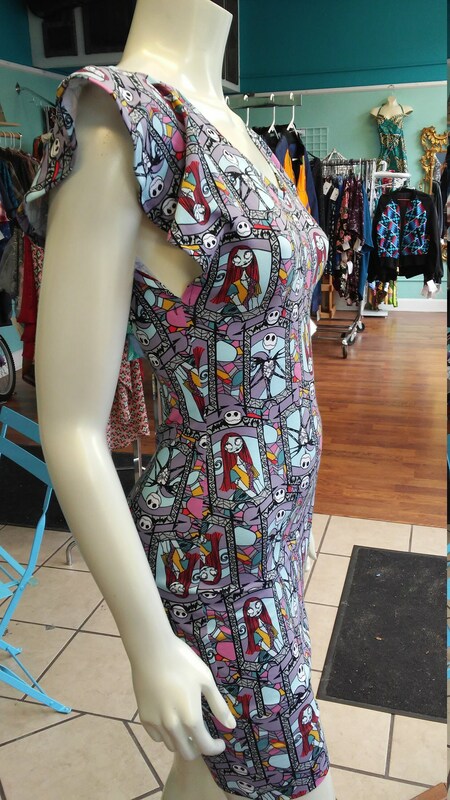 This fitted knit dress hugs you in all the right places for a polished and flattering look! Flutter sleeves and a lower band give this dress a little something different. Easy care, machine wash/dry. Part of the Tidal Cool Geek Chic collection.